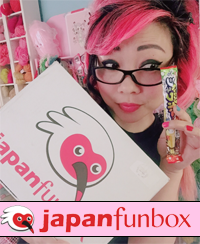 I have a fun tidbit of news for you guys! For all of 2013, I will be writing one (and sometimes two) free crochet pattern for the Yarn and Needle Crafts project section of Michaels.com. The first two are already up! 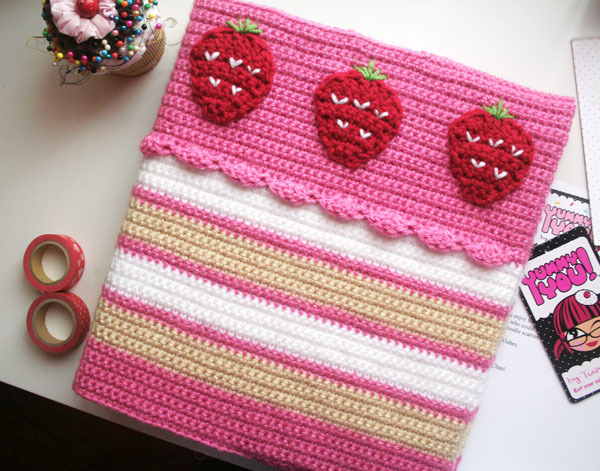 A Birthday Candle scarf for all new beginnings and celebrations, and a super cute Strawberry Cake binder cozy for any of you back-to-school-ers or binder-lovers (I know you’re out there, binder-lovers, cuz Manda is one of you). I’m actually right now in the middle of working on the next two patterns for February! This entry was posted in Crochet, News, Patterns & How-To's and tagged free pattern. Bookmark the permalink. I’m going to make the candle scarf for myself!!! My birthday is January 6th, thank you!!! This is fabulous news. I am excited to see what comes! Definitely making the binder as I’m back working in school next week. The children will love it. thank you. SO exciting eep! Love these! And I LOVE the binder cozy!! Thank you sooooo much for your awesome and hilariously creative ideas! I wish you a happy, healthy and successful year 2013! Wow! This is the best ever! Thank you so much!! 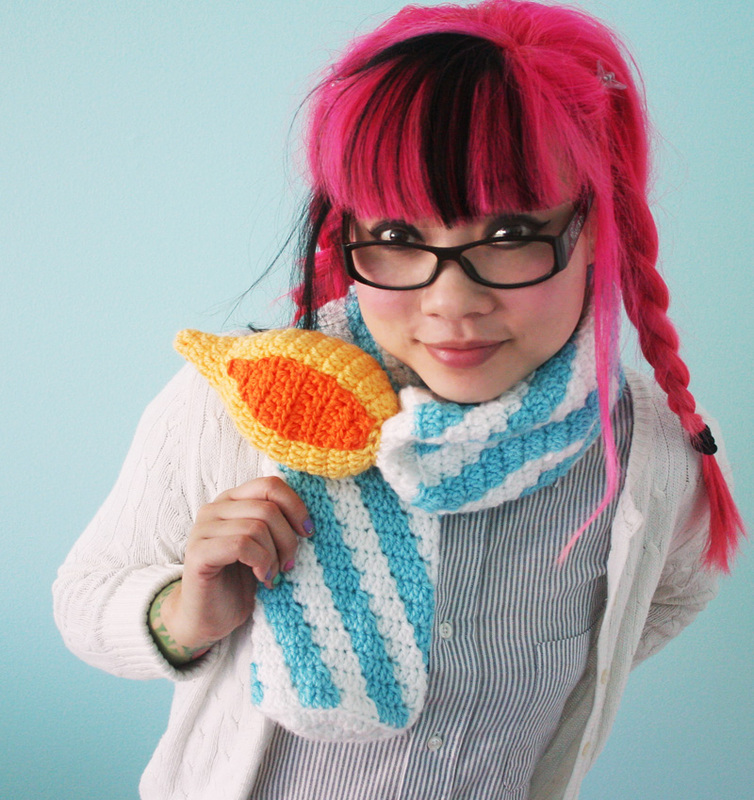 Actually, couldn’t you compile these upcoming free patterns into a new ‘Second Helpings’ book ?? I suppose I could pull some of them as I still retain the rights to all the patterns…. I guess I just wasn’t sure if people would want to pay for something they could get for free! I love the candle scarf and binder cover! Cute ideas! So happy you are working w/ Michaels! Happier to have more of your AWESOME patterns available!! I love your patterns! I did your cookie scarf for a girl i babysat and she was always carrying it around. You are nothing short of AMAZING!!!!! Awesome, I love your patterns so an entire year of FREE patterns is the best New Year’s present ever! These are fantastic. I’m glad that you’re offering more crochet patterns. Your designs are so delightful and fun to make. I made a bunch of christmas gifts from your foodie scarf book. Excited to follow your new designs! Thanks for sharing. Your work and joy are inspiring! SHUT UP!!!! YAY YAY YAAAAAAAAAAAAAAAAAY!!!!! Oh, wow! That’s great, Twinks! Congratulations! 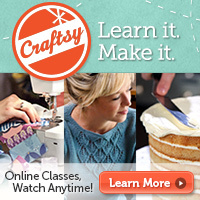 Like the above poster said, what a great way to gain exposure to TONS of crafters! So stoked for you! Congratulations!!! Both are super cute! Can’t wait to see what the year brings! I am so in love with this news!!! Your book is my favorite crochet book. You should release another…I’d buy one for myself and a few as gifts. You are so creative and totally awesome! Those patterns are so cute! Can’t wait to see what other awesome patterns you come up with! HUH????? I dont speak the lingo. I just got into crocheting maybe 2 months ago and I made some pretty fantastic pieces, If anyone is willing to help i will share the wealth and give someone a pattern from the book I will write myself or scan whatever you want. IT means, skip the first 2 chains, then work 2 hdc into the next st, then work 1 hdc in the next 21 sts, and in the last 2 sts, you will decrease, which is working hdc2tog. If you don’t know how to work an hdc2tog, you should definitely google it, as there will be lots of easy instructions. If you have other questions, please feel free to join my group on Ravelry.com, which I set up so that everyone can help each other. There is also a topic at the top with all the corrections to the book. Here’s the link. You need to join Ravelry first to see the group. Also, I hope you didn’t mean you were going to type out patterns or scan them from my book to give to people. While very generous, that is also kind against copyright laws if you do so without permission. giving out patterns from a book, that’s illegal, and pretty disrespectful to the artist. You can google any of those crochet terms and directions, though I find it REALLY hard to believe anyone can make any “fantastic” items wen one cannot undertake basic crochet instructions. Good luck on that and researching basic crochet terms is easy and helpful in succeeding! I live many states away from my fam and I’m thinking of sewing these together, like your snowflake ones, to make a scarf! Obviously I’ll make the snowflakes for Christmas next year…but Valentines day is closer! Thank you so much, you truly are an inspiration!! 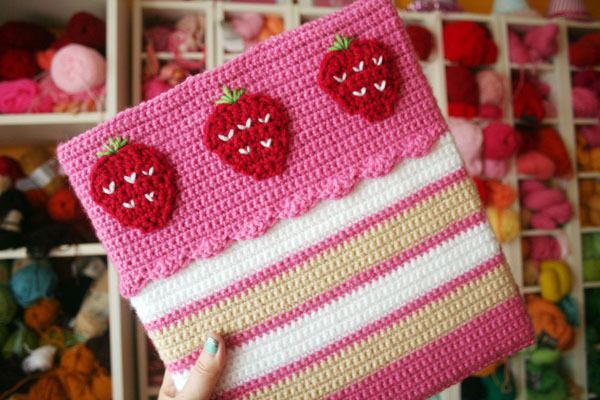 I was looking on Michaels.com and couldn`t find the Strawberry cake binder cozy i just wanted to get it because when i get the supplies i plan to learn how to both crochet and knit /Call it wishful thinking ^^`/ -and hone in on meh origami skills- and when i get good i want to make the strawberry cake binder cozy /since i luv binders there just so useful if only i could keep mine organized ^~^……………….. It looks like the Birthday Candle scarf isn’t up there anymore, any chance you’ll repost or reprint it somewhere? It’s really cute!! 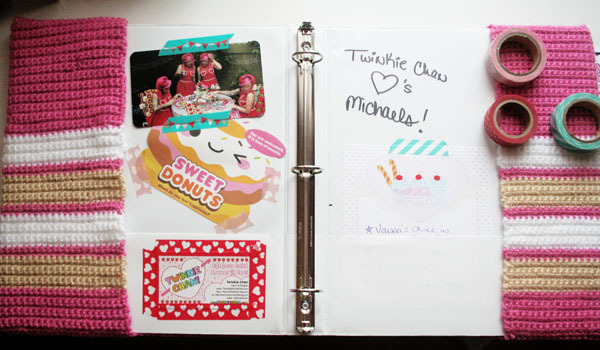 EEp, I keep forgetting to make time to transfer the rest of the Michaels patterns to my blog. I gotta get on that. another vote for the b-day candle scarf! I would be happy to purchase the pattern from etsy. love all your stuff and am having a ton of fun making stuff from your books. you are an awesome artist! Hi! I’ll try to find time to do so! I would love to make them, it would be really great if you could repost. I absolutely love your work, it’s all so colourful and gorgeous!! !